Searching for a Queen Sofa Bed Mattress? Read These Tips! Once you have decided it’s time to replace your queen sofa bed mattress, the first step you should take is to have the exact measurements of the new replacement mattress you want to buy. A queen sleeper sofa mattress can range in width from 55 to 60 inches. You must measure for the exact size you need. If you have a mattress that is too small, it will become uncomfortable because it will shift. Too large and you are putting unnecessary strain on the mechanism, making the bed difficult to fold. This may cause you to have to replace the mechanism in the near future. The rule in getting the measurements for your new queen sofa bed mattress is to not measure the old mattress, but rather the frame. Ignore the rounded corners, your mattress will have them too. Measure the inside of the frame, and round your figure down to the next inch. Innerspring mattresses are seldom used as replacement mattresses for sofas. There is not enough room to put enough turns into the coils. Basically stated, this means the mattress will not be comfortable because you will feel the inner springs of the mattress and the bars under the mattress. For this reason, inner spring mattresses are not recommended as replacements for sleeper sofa mattresses. Then higher quality foam mattresses have foam support cores with a density ranging from 1.8 to 2.5 pounds per cubic inch. 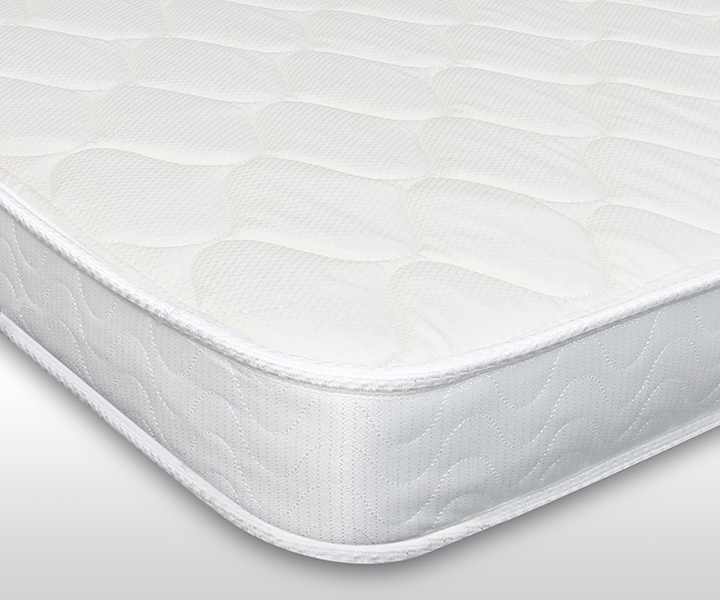 The density provides support and stops the mattress from compressing. Many confuse support with firmness. The firmness of a foam is measured in units called Indentation Force Deflection (IFD); this controls how firm your mattress feels and how much give there is when someone is on top of the foam. When a mattress uses high density resilient foam, and high IFD (over 40), the mattress will compress less than a mattress with the low IFD. This means you will not feel the bars beneath you and the mattress will provide you with the necessary comfort. If you’re thinking of buying a memory foam mattress for your new queen sleeper sofa, note that most mattresses made from memory foam have only a thin, top layer of actual memory foam. While this creates a plush feel, the biggest problem with memory foam sofa mattresses is that in a four or five inch thick mattress, after using two inches of memory foam, there is not enough room to put enough support foam. The result? Your sleeper sofa mattress will bottom out, you will feel the bars beneath the mattress and your comfort level will be unacceptable. Latex is a natural foam rubber used to manufacture sofa bed mattresses and is very comfortable to sleep on. The problem is the exorbitant cost. A 100% latex queen sofa bed mattress will cost you more than twice as much as other types of hide-a-bed mattresses. Where to Buy a Queen Sleeper Sofa Mattress From? Queen sofa bed mattresses are common, thus you might find the most common sizes in a store near you. However, finding the size you need in a store might prove to be difficult. On the other hand, online shopping offers several advantages, apart from detailed descriptions and customer reviews, you can access more information in general. On our online sofa bed mattress store you can order queen sleeper sofa mattresses (no matter the width). We have common queen sizes (4x60x72) on stock, other sizes are made to order and shipped in a week or so. To order click here. When Do You Actually Need a Custom Sofa Bed Mattress?